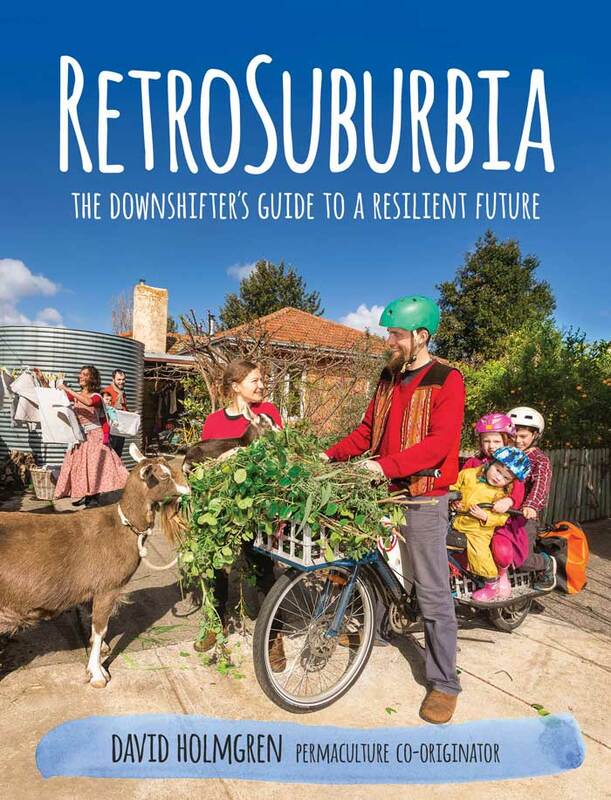 The first section of RetroSuburbia: the downshifter’s guide to a resilient future explores the big-picture issues, concepts and thinking tools that I think are useful in creative household level responses to the challenges of the coming years and decades. Key challenges and retrosuburban responses outlines the connections between the personal and global challenges of the near future and how suburbia might a good place to survive and thrive in challenging futures. 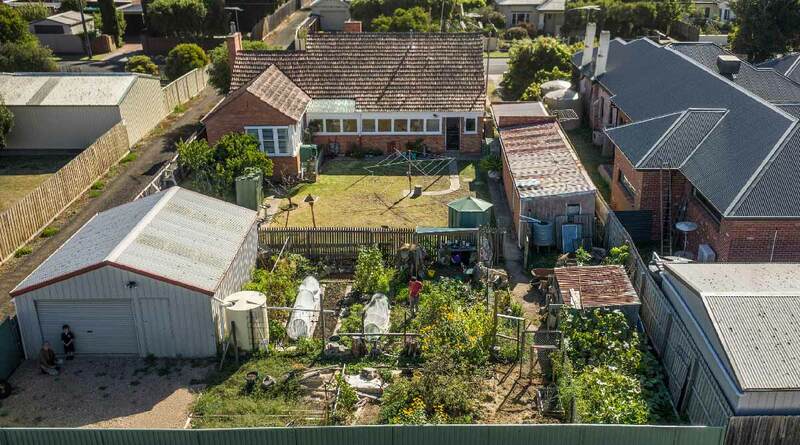 It also introduces some of the thinking tools, such as permaculture and pattern languages, to help retrofit suburbia one household at a time. This conceptual content is balanced by an engaging short story about the history and future of Aussie St, my imaginary suburban street that resonates with the lived experience of so many Australians. It moves from the experience of the oldest living Australians though to a gritty but empowering vision of the near future. Where we live and how we live introduces tools to help us explore and evaluate how we live now – and how we might make lifestyle changes into the future. It discusses overarching life patterns such as the work/life balance and the pros and cons of lifestyle choices such as owning, living communally, downshifting and/or retaining flexibility. Many people planning ahead are already questioning the notion that the future will be a faster, shinier version of the present. And even if this future was possible, people are also questioning whether it would be what they want for themselves or their children. Some recognise the need for urgent changes to the way we live, and no longer have faith in governments or markets to show us the way. The 9-to-5 treadmill looks more and more like the path to permanent debt slavery despite the lowest interest rates in modern history. Financial, geo-political and climatic instabilities threaten, while tempting glimpses of better ways to live are popping up in unexpected places. worsening natural disasters driven by climate change. These challenges will undermine the capacity of governments and corporations that most people have relied upon for the majority of their wants and needs over the recent decades of affluence. We will all have to be more self- and collectively reliant! Nicole Foss’s The Automatic Earth website. The ‘Primer Guide’ is a good place to start and has links to other articles arranged by topic. Power of community: How Cuba survived peak oil (The Community Solution, dir. Faith Morgan, 2006). Documentary on Cuba’s adaptations to energy descent precipitated by isolation and trade embargos, as well as an overview of the Peak Oil concept. Holmgren’s Future Scenarios website or book exploring the likely cultural, political, agricultural, and economic implications of peak oil and climate change. John Michael Greer writes extensively about energy descent futures. See his website for essays, podcasts and links to his fiction and non-fiction books. The Long Descent: a user’s guide to the end of the industrial age (2008) provides an overview of peak oil and energy descent. The Retro Future (2017) explores how using the technologies and lifestyles of the past can lead to a more resilient, sustainable and ultimately satisfying future, while Retrotopia (2016) covers similar themes but in a fiction format. Aussie St is my way of illustrating both the changes that have occurred in suburbia over many decades, and the potential for positive, realistic changes into the future. I have found this a useful method of communicating these concepts to a wide range of audiences (see Preface). Many of the retrosuburban patterns outlined in the book occur in fictional form here, and by telling this story towards the start of the book I aim to give you an introduction to these concepts. 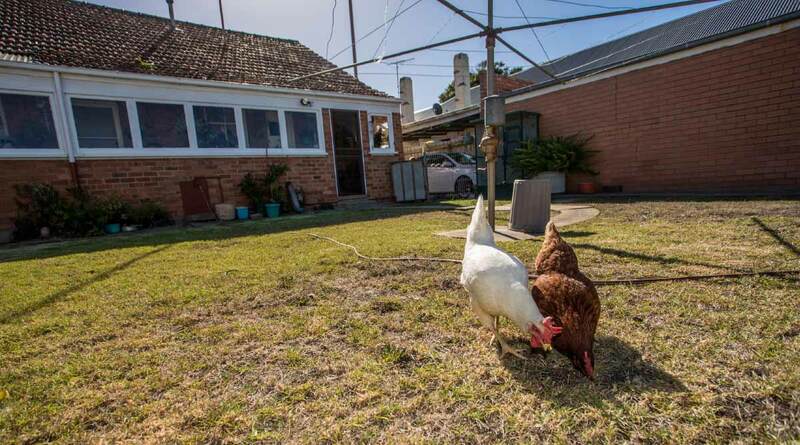 Aussie St is an early 1950s subdivision on grazing land at the urban fringes of an Australian capital city. 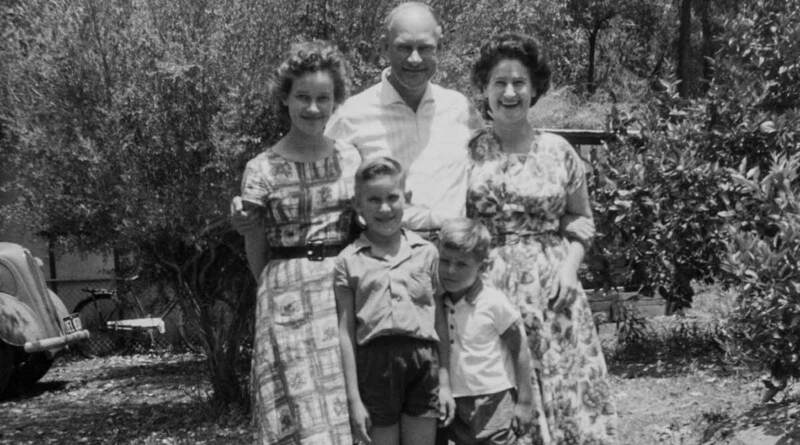 Most of the houses in the subdivision were built with ‘war service’ low-interest loans from the Commonwealth Bank. The four houses in this part of Aussie St are all three bedroom detached homes on quarter acre blocks (1000 m2) of the same design. The houses are all double brick and tile roofed, although in some other parts of the subdivision they’re made from asbestos sheeting and corrugated iron. The floor area of each house is 12½ ‘squares’ (116 m2), which was average for the time. Our story traces the history of this ordinary place from the Golden age of suburban growth and the baby boom in the 1950s, through the childhood and adolescence of that generation in the 1960s and 1970s period of Rising affluence and additions, to the Aging and infill that changed the street in the 1980s and 1990s. 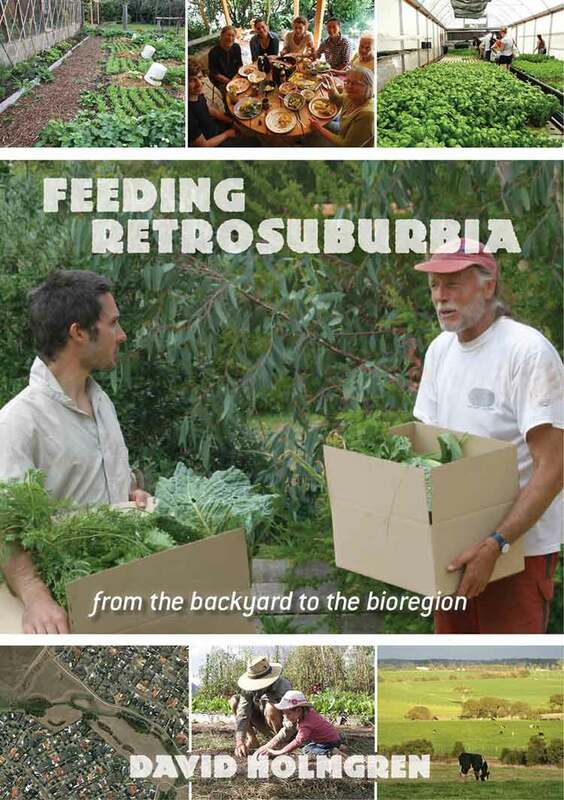 The late 2000s’ Permaculture Retrofit lays the foundations for the creative retrosuburban responses to the challenging times of the Second Great Depression of the 2020s, which shows how people in Aussie St managed to not only survive, but thrive. A 2012 version of David presenting Aussie St can be viewed here. A new version with updated graphics and story will be available soon! Or check our events page for an Aussie St presentation near you. This chapter provides you with an overview of the largely non-living patterns of land, Many of us who love to tinker with our housing, or husband abundance from our gardens, can easily get carried away with all the opportunities to jump into the details of more sustainable and resilient living by changing our environment, without paying enough attention to the larger context created by personal relationships, health, work, family and community. If we can better see how to apply the retrofitting, redesign and reinventing processes to household location, lifestyles and living arrangements then we have a stronger foundation on which to construct design solutions that will work across the Built, Biological and Behavioural fields. In this way we are applying the principle Design from patterns to details. The Art of Frugal Hedonism: a guide to spending less while enjoying everything more (Annie Raser-Rowland with Adam Grubb 2016, Melliodora Publishing) A fun and informative book doing what the subtitle suggests: providing inspiration for a better life with less stuff, money and work. Changing Gears: a pedal-powered detour from the rat race (2013, Affirm Press) Greg Foyster’s account of his and his partner’s cycling trip from Melbourne to Cairns is not only a great account of ‘Mobile minimalism’ but also gives insights into sustainable and resilient ways of life through the people they visit. Small is Necessary: Shared living in a shared planet (Anitra Nelson 2018, Pluto Press) an inspiring exploration of a wide range of models for shared living with real life examples from around the globe. Rosemary Morrow’s A Good Home Forever: Downsizing for the future (ebook) outlines various considerations in deciding whether to stay where you are or move, and retrofit or build, as well as telling a personal story of downshifting and retrofitting. Available here.